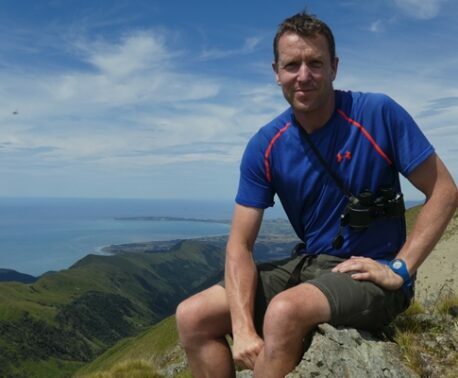 One important aspect of conservation is community outreach and education, to inspire local people to get involved in protecting the wildlife living on their doorstep. 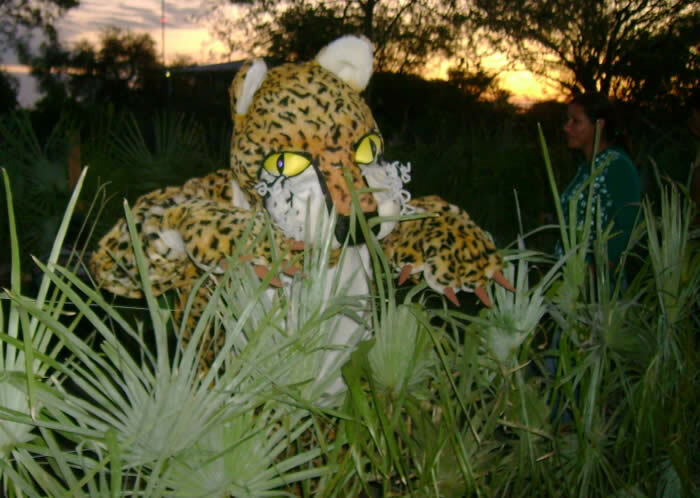 World Land Trust partners, Guyra Paraguay have been getting in to the spirit of environmental education recently with the help of their flagship species; the Jaguar. As part of the Pride Campaign, Guyra Paraguay's conservation work and care for the environment were promoted through a series of events encouraging local people to take pride in the environment they live in. 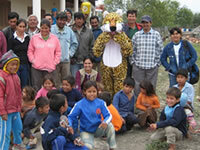 Top: The jaguar in its natural habitat and above: visiting wildlife fans of all ages in Puerto Dianna. Click on the images to see larger versions. 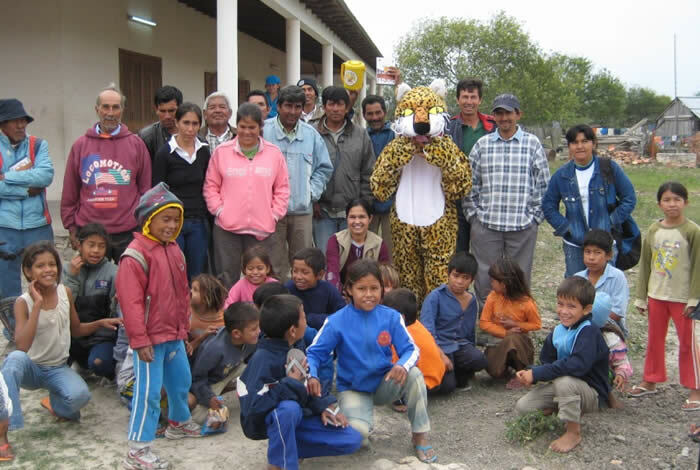 Eco Club Pantanal Paraguayo, a local conservation group in the Pantanal organised the activities, which included a Jaguar mascot visiting the indigenous Ishir community in Puerto Dianna, Northern Paraguay. The children enjoyed a few races with the Jaguar before he had to move on to visit the people in Bahía Negra, the isolated community on the shore of the Black River where the Eco Club is based. 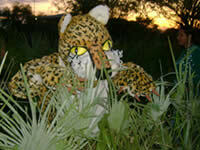 Handing out education leaflets, the Jaguar encouraged everyone he met to help to look after his home in the Pantanal. The Paraguayan Pantanal is an important savannah, grassland habitat which is under threat from agricultural development. As well as the Jaguar, the Pantanal is also home to other important wildlife, including the 'Three Giants' (Giant Otter, Giant Anteater and Giant Armadillo). 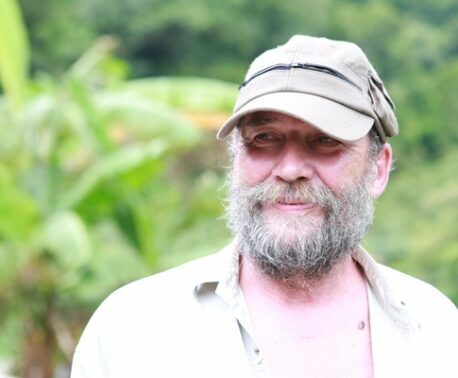 The Pride Campaign is a programme run by Guyra Paraguay's partners RARE who are planning future projects which include visiting schools and other local communities to continue in their bid to raise awareness of the threats to species and their habitat. To learn more about the Pantanal and the World Land Trust's involvement in the area, and how you can help, visit our Paraguay project pages.